I have to say that when I first started the book I was a little hesitant. I thought because it was based around teenagers that I would not like it considering I'm 34 yrs old.. Oh, I was SO WRONG!! Chasing Nikki definitely pulls at the strings to your heart. Chase didn't know how to cope with the loss of his father, so he turned to alcohol and drugs to help cope with the pain... Then one day, he sees a beautiful girl named, Nikki and he vowed that he was going to get this girl to go on a date with him. Chase has the reputation of a punk and Nikki is the good girl, so he definitely had his work cut out for him. 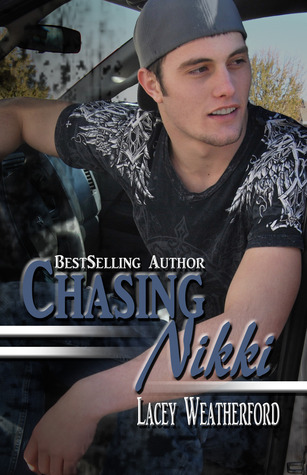 Little did Chase know that Nikki would change his life forever by just saying one simple word, YES!!! This book will have you laughing one minute and crying the next. I was very glad that I chose to read this book, and I give it 5 stars !! !